Earn $93.71 in Rewards credit (9371 points) What's This? 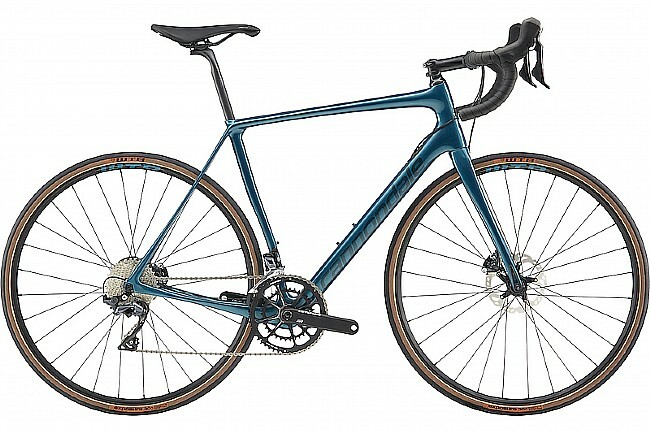 The 2019 Synapse Carbon Ultegra SE Disc from Cannondale is lightweight and elegantly designed, adapted for both speed and comfortable long-distance riding. Frame: allisTec Carbon, Di2 ready, SAVE, BB30a, flat mount, 12mm thru axle. Fork: BallisTec Carbon, SAVE, integrated crown race, 12x100mm thru-axle. Brakeset: Shimano Ultegra hydro disc, 160/140mm RT70 rotors. Hubs: Fulcrum Racing 600 DB. Axles: 12x100 (front), 12x142 (rear).